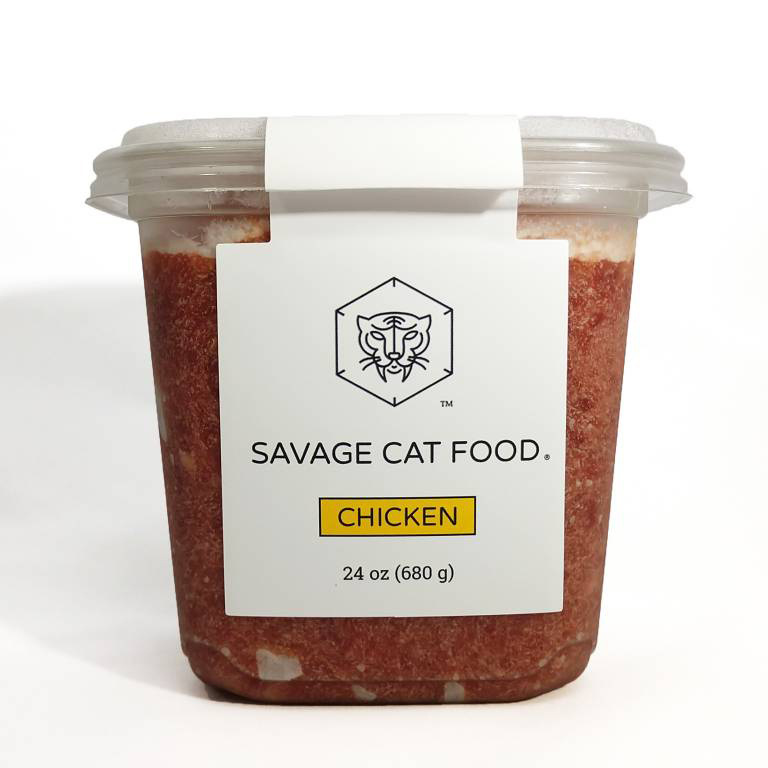 Savage Cat Food® with chicken is designed for cats that are new to raw or are picky eaters. Our meat is sourced from local, certified organic chicken from Petaluma Poultry and Pitman Farms in California and is prepared in our refrigerated processing facility in Southern California. The chickens are free range, fed a non-GMO diet, and not given antibiotics. Our recipe is GMO-free, soy free, beef free, gluten free, corn free, dairy free, starch free, potato free, rice free, oat free, vegetable free, fruit free. 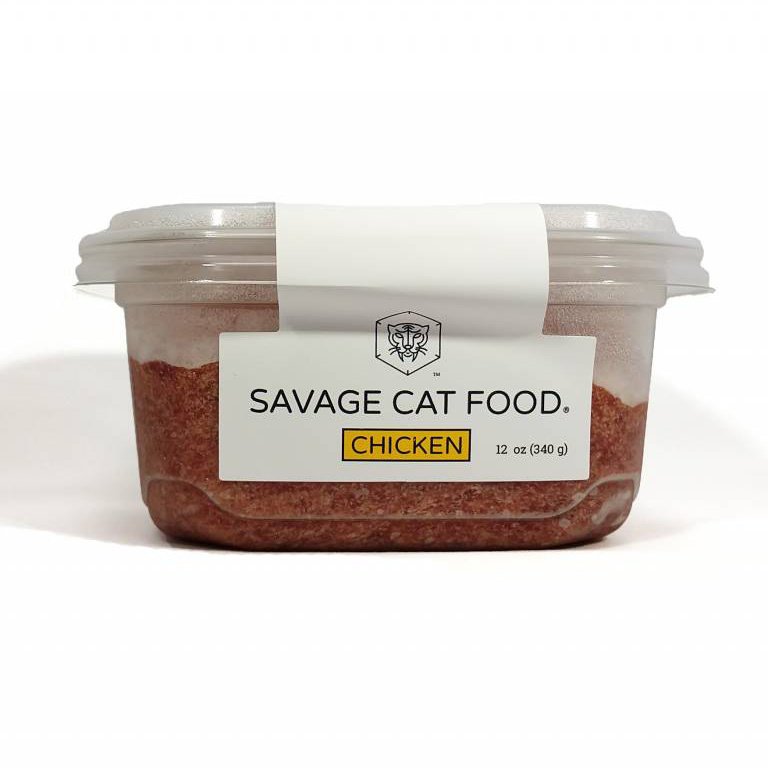 Savage Cat Food with Rabbit is designed specifically for the multitude of cats that have developed allergies or intolerances to poultry or fish. 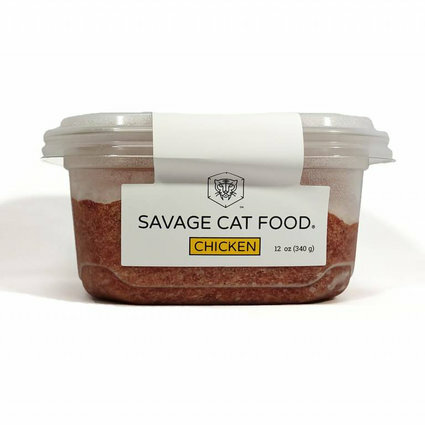 This limited ingredient recipe is GMO-free, chicken free, fish free, poultry free, beef free, soy free, gluten free, corn free, dairy free, starch free, potato free, rice free, oat free, fruit free, oil free. 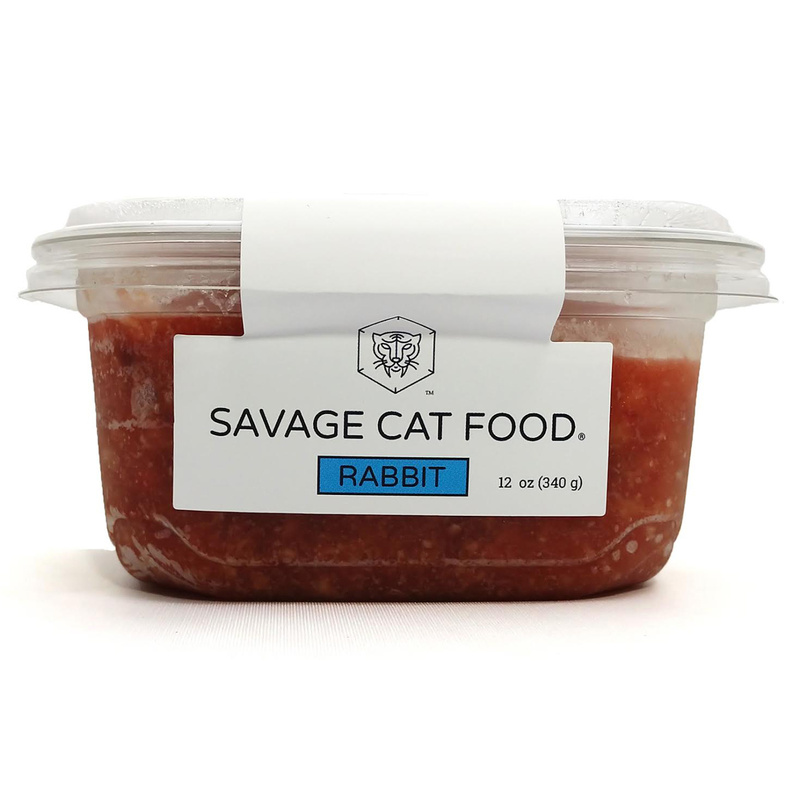 We include chunks of rabbit muscle meat to encourage gnawing and chewing. 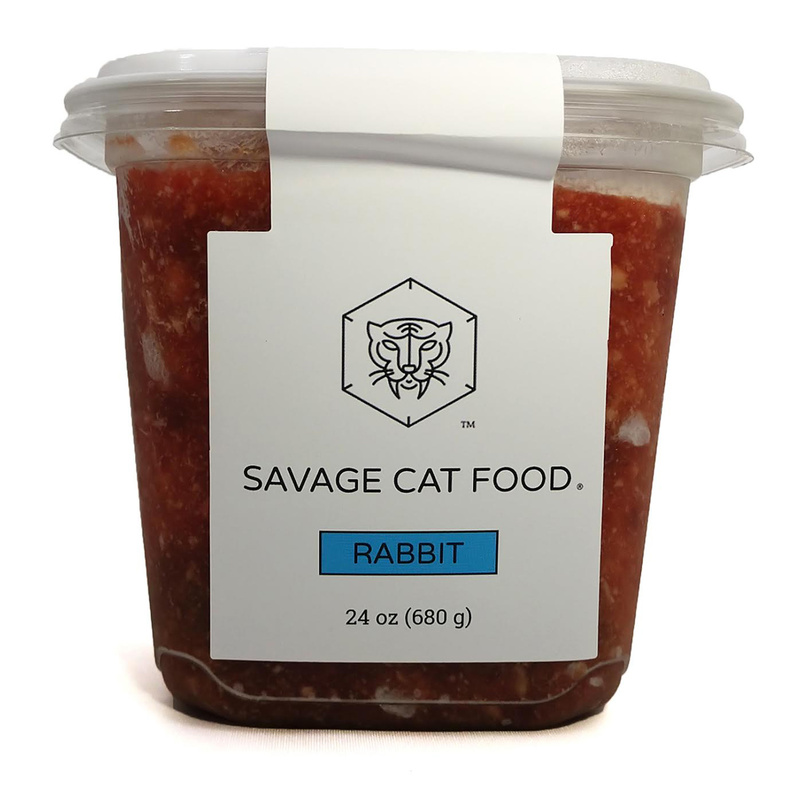 Ingredients: Whole Rabbit with Bones, Certified Humane Lamb Hearts, Certified Humane Lamb Livers, Certified Organic Egg Yolks, Water, Psyllium Husk Powder, Taurine, Vitamin E, Vitamin B Complex, Adrenal Tissue, Spleen Tissue, Thymus Tissue, Pancreas Tissue, Salt.